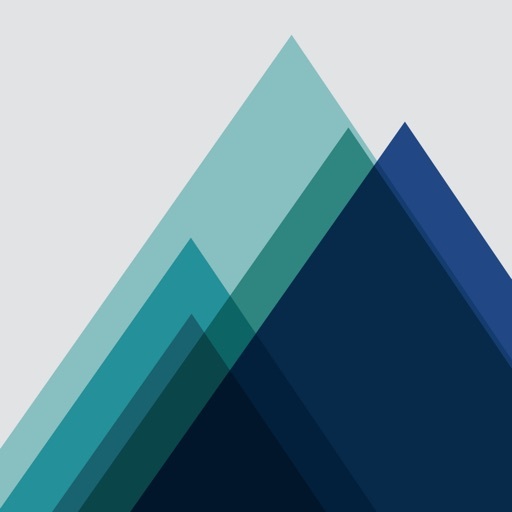 Everest : Audio Looper by glowgraph inc.
Record, play, and remix stereo audio loops in real-time from the audio input of your iPhone, iPad, or iPod touch. Designed for both live and studio use, Everest puts the power of four road-worthy, independently controlled, self-synchronizing samplers in the palm of your hand. 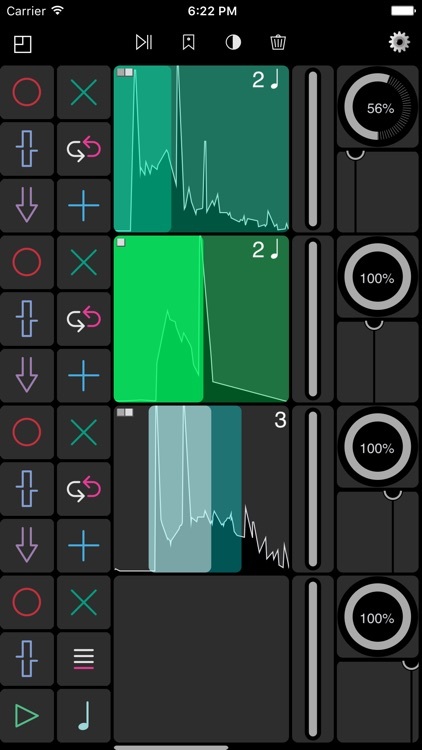 ~Undo/Redo - Up to 16 levels of Undo per loop; jump to older loops all while staying in sync. ~Overdub - Add new audio on top of a loop, just like those old tape machines from the 70's. ~Multiply - Overdub longer loops over shorter loops, or shorten a longer loop. 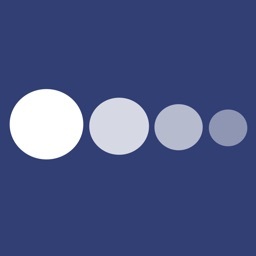 ~Bounce - Merge many loops into one, even while making real-time changes. ~Insert - Splice new audio in the middle, beginning or end of any loop. 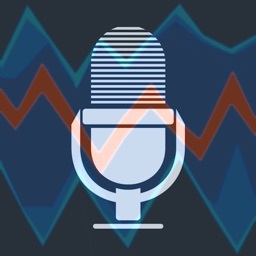 ~Windowing - Change the start point and length of the loop in real time. 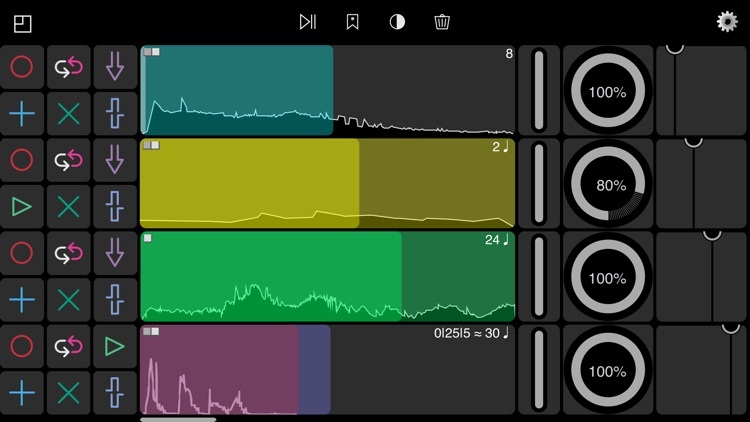 ~Scrub - Perform manual granular synthesis: drag short loop windows across the waveform. 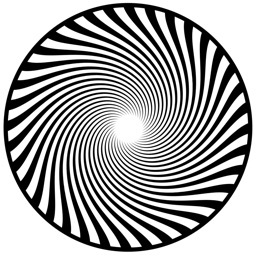 ~Reverse - Play loops backwards without losing synchronization. ~Bookmark - Save your position in the undo history for future recall. 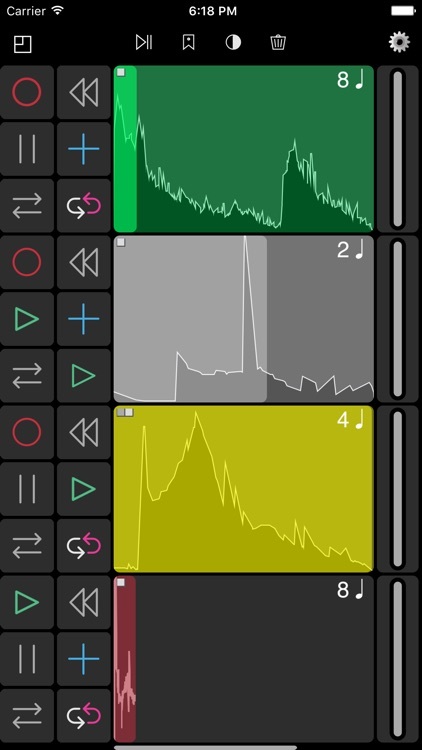 ~Multi-Mute - Toggle playback of loops, going back and forth between two different sets. ~Rewind - Restart loops for stutter type effects, or temporarily wrangle asynchronous loops. ~Feedback - Fade loops to silence at any time, even while adding new audio. ~Volume - Dedicated output level faders. Bring loops in and out of the mix. 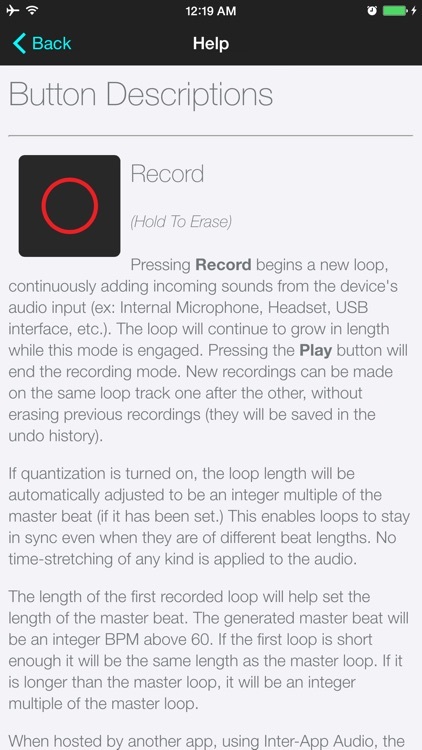 ~Replace - Punch-In record over segments of the loop with new audio. • Sample-Accurate Sync : No time-stretching here. Loops of different lengths can perfectly synchronize to each other, allowing for complex polyrhythms and time signature changes. No slipping, no artifacts, no drifting, no distortion. • Local Quantization Defeat : Sometimes swirling chaos is a good thing. Disable quantization at will, on any loop, without affecting the other loops. 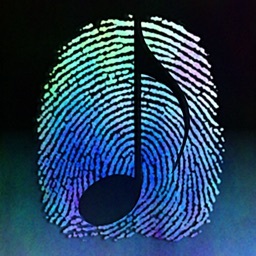 • Universal App : Runs on most devices (including iPhone 4 and iPad 2), as perfect for pedal boards as it is for desktops. • Musical Editing : Use the multi-touch enabled waveform view to radically alter the length, position, and direction of each loop. Finally, audio you can play like an instrument! • Dynamic Interface : Automatically adjusts for different device orientations and screen sizes. • Inter-App Audio Compatible : Can be hosted inside of, and synced to, an IAA enabled host. Rapidly record different guitar or vocal takes without committing to saving the audio, or use the host instruments and tracks to keep time while you create the perfect loop. Can also host two other apps (Generator and Effect). 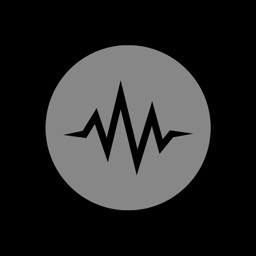 • Save, Copy, & Paste : Save loops as they play for archiving on your device or copy loops as they play for pasting into other apps that support pasting audio. 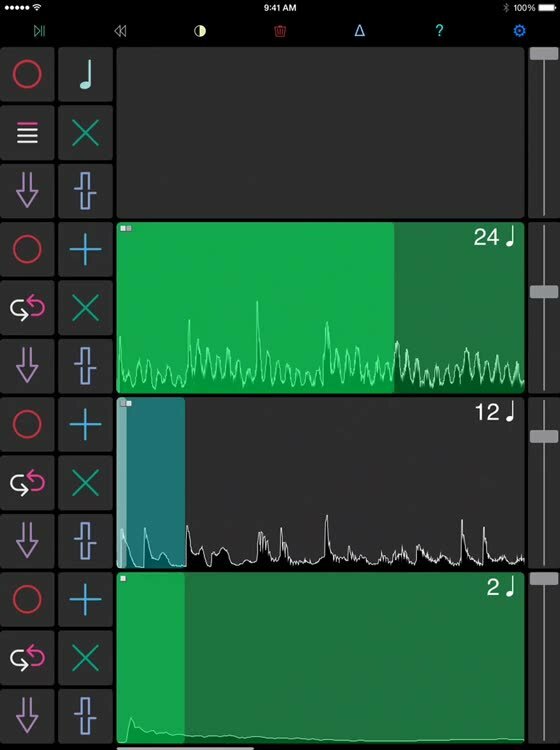 Paste audio files copied from other apps into empty loops. 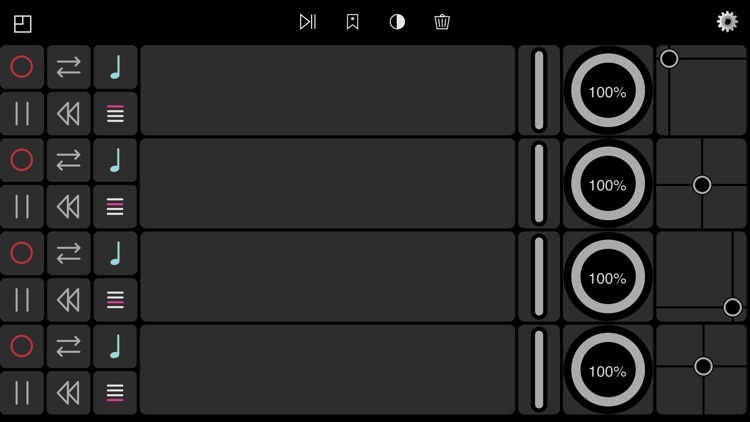 • MIDI Controllable : Comprehensive MIDI implementation for control via keyboards, foot switches and more. Control all the loops with as few as two controls or sequence every detail from your favorite DAW. Supports wireless control via WiFi and Bluetooth LE. • Flexible Audio Routing : Support for quadraphonic input and outputs. Send each loop to its own amplifier or give each band member their own looper! • Built-In Help : No network connection? No problem. Contains detailed embedded descriptions of all loop functions and MIDI controls. • Tweak-able : Everest automatically saves settings, options, and parameters. These include quantization behavior, panning, crossfading, MIDI channel and more. • Lightweight : Everest does not come burdened with a sample or loop library. The install size is small, it uses a modest amount of memory, all while running very efficiently, especially in the background. ***Beware of microphone feedback when looping, in general. Everest is best used with headphones, headsets or class compliant audio hardware. If you must use the internal speakers/microphone, try turning noise canceling on under the settings menu.